It is not uncommon to hear people complain about the amount of time kids spend glued to their electronic devices, with the implication that this is taking away from other activities. 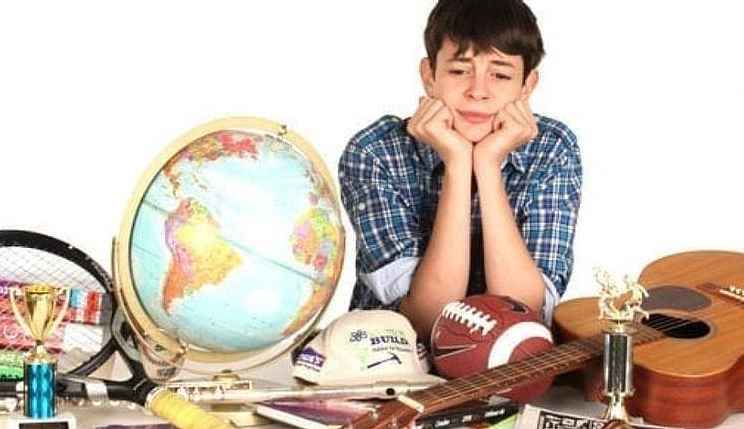 There may be some truth to this at home, but as the following report by Brian Knop of the U.S. Census Bureau suggests, kids are just as engaged in extra-curricular activities as they were 15 years ago. In fact, involvement in sports has increased. Many parents and educators who worry about the amount of time kids spend on the internet assume that when children or teenagers are not in school, they spend hours in front of a computer or phone. According to a Census Bureau report out today [Nov. 6, 2018], children are just as involved in extracurricular activities today as they were about 15 years ago. When it comes to sports, they are actually even more engaged than they were in the last decade. Participation in extracurricular activities is widely viewed as a way to help children develop social skills and become active in their community. There has been growing concern that in the age of smartphones, tablets and other computer devices, children are spending more time on screens than on sports fields. 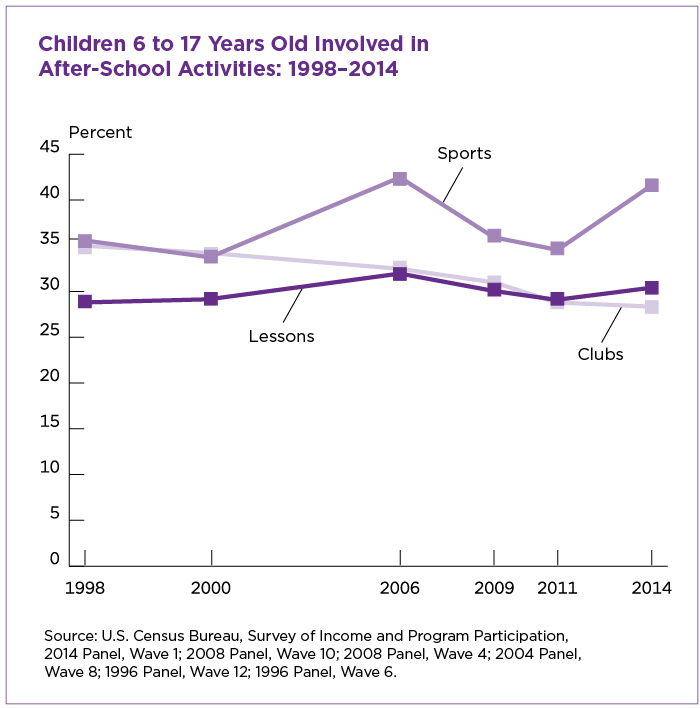 The percentage of children ages 6 to 17 who participated in sports increased between 1998 and 2014: 42 percent were involved in sports in 2014, compared to 36 percent in 1998. Participation in clubs declined during this time, from 35 percent to 28 percent. The share of children taking lessons outside of the regular school day fluctuated somewhat, but 29 percent of children were involved in lessons in 1998 and 30 percent were involved in 2014. While these findings cannot speak directly to the amount of technology used by children, they do show that children continue to remain engaged in extracurricular activities. These data come from the 2014 Survey of Income and Program Participation, which collects detailed information about U.S. families’ economic well-being. Brian Knop is a Family Demographer in the Census Bureau’s Fertility and Family Statistics Branch. For more on this subject see the newly released report "A Child's Day: Parental Interaction, School Engagement, and Extracurricular Activities: 2014." Stu Johnson is owner of Stuart Johnson & Associates, a communications consultancy in Wheaton, Illinois focused on "making information make sense."